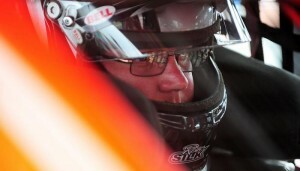 Ron Silk doesn’t see any plans on the horizon anytime soon for a return full-time to competition with the NASCAR Whelen Modified Tour, but he has landed a ride to compete at his favorite track. Silk confirmed to RaceDayCT Thursday that he will drive the Brady Family No. 00 car for the NASCAR Whelen Modified Tour Nor’Easter 100 at New Hampshire Motor Speedway on July 15. Silk will also drive for the team in the Whelen Modified Tour exhibition All-Star event at the track on July 14. Silk, the 2011 Whelen Modified Tour champion, started the season with Danny Watts Racing but left the team after three events. In 26 Whelen Modified Tour starts dating back to 2003, Silk has two victories and has finished in the top-five in 13 events. Silk has never made a start in the iconic Brady family car. Beyond the Loudon event, Silk said he has no other cemented plans for racing this year beyond running the Tri-Track Open Modified Racing Series events for car owner Bob Horn. He finished 11th in Horn’s car at the Tri-Track Open Modified Series event at Seekonk (Mass.) Speedway Wednesday.